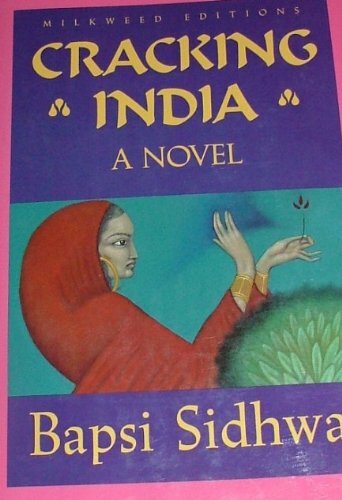 Pakistani Sidhwa's third novel (The Bride, 1983; The Crown Eaters, 1982)--written from the point of view of a young girl who's surrounded by the personal and political violence that accompanied the partitioning of India in 1947--manages to do justice to the complexity of racial, ethnic, and religious violence in the era and to evoke the passage from an affluent childhood to the ambiguities of experience. ``India is going to be broken....And what happens if they break it where our house is?'' asks narrator Lenny, the daughter (who turns eight in 1947) of an affluent Parsi family in Lahore. And in fact her household does break apart when her young nanny, or Ayah, is kidnapped. Before that event takes center stage, the novel glorifies in the ``beautifully endowed'' world, which, as evoked by Sidhwa's luminous present-tense prose, is laminated with the magic of childish wonder: moving between her own house and that of her dynamic Godmother (``It is her nature to know things''), who lives ``with her docile old husband and slavesister,'' Lenny dramatizes the textures of multicultural Indian life, with its summer trips to the Himalayan foothills, dinner parties, visits from the ice-candy man, and, increasingly, hints of ``Hindu-Muslim trouble.'' While Lenny ``learns to tell tales'' by ``offering lengthier and lengthier chatter'' to fill dinner-time silences, she also becomes ``aware of religious differences.'' Sikhs start keeping to themselves, whereas before ``everybody is themselves.'' Violence escalates, India is divided, fires appear ``all over Lahore,'' and Ayah is kidnapped. She's finally found in the red-light district, then rescued through Godmother's influence, but it's clear that- -along with India and Lenny--she will never be the same. Richly layered, both realistic and magically evocative as well as topical: a novel that brings to triumphant life an India that ``has less to do with fate than with the will of men.'' -- Copyright ©1991, Kirkus Associates, LP. All rights reserved.